There are a number of uses for storage units from using them as an office for your small business to your own personal space. To keep all of their business together, some people like to put their office space in their storage unit along with their inventory. 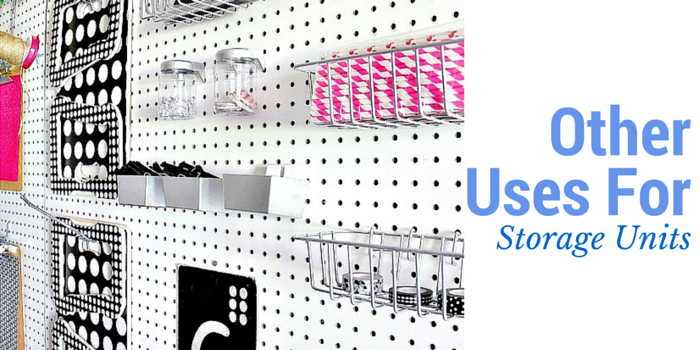 To turn your storage unit into an office, the main thing you will need is electricity. If you will be in your storage unit turned office all day, replying to emails could be difficult if you don’t have any Wi-Fi. Alternatively you could rent an office space at a storage facility, to save time and possibly money too. You are also to be close to your storage unit. If you are a keen crafter, renting a storage unit is the perfect solution to not having enough space. You are also able to have peace and quiet, something that could be a rare occasion at home. The important items to have in your storage unit/crafting space are storage containers to keep your area organised. Having your own space will allow you to decorate the area as you wish. One of the most important things for any kind of artist is to have space. Renting a storage unit and changing it into your perfect space is easy. Being in a storage unit can be the perfect escape from your usual surroundings. It can also be great for helping with any creative blocks you may be having. All you will need to do to alter your storage unit is add easels and art supplies. If you are a photographer, turning your storage unit into a functioning studio is ideal. All you will need is a backdrop, some lights (if there is no electricity supplied to your storage unit you can buy wireless lights that you will just need to find somewhere to charge them), and any other accessories you might want. Everyone begins the year saying that they are going to start working out, but how many of us actually do? A lot of people hate going to the gym, as they can feel out-of-place. Converting a storage unit into your own personal gym is the ideal solution. It’s plain and simple to switch your storage unit into a personal gym. All you need is the equipment you are most likely to use. Before you begin converting your storage unit into something else you will need to double check the storage company will allow you to. It’s always better to be safe than sorry.